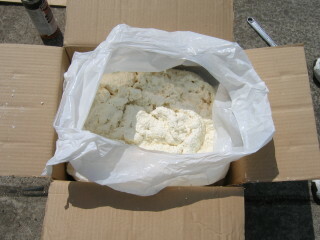 Handi-Foam is a 2-component expanding foam, which is ideal for foam-in-place or foam-in-bag packaging applications. 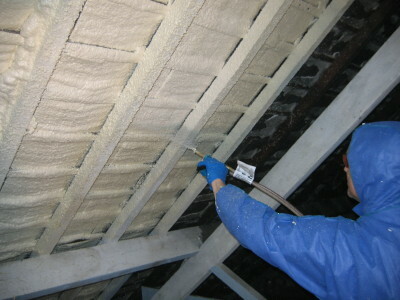 The foam comes in a practically designed compact kit, which allows for easy transport and use. Handi-Foam expands around the item being packaged, and sets within minutes to form a tough, rigid foam which supports and protects your product from rough handling. Transport companies are somewhat notorious for handling items rather less than carefully, and generally won't entertain claims if the item is signed for unchecked. Fragile items that would be expensive to replace, e.g. medical & electronic instruments, bottles of wine, vases, etc. How would I use Handi-Foam to package an item? 1. Place a suitably sized heavy-duty plastic bag in the box you are planning to package your item in. 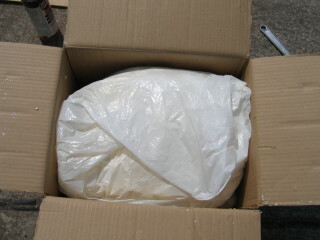 Spray slow cure Handi-Foam into the plastic bag. 2. 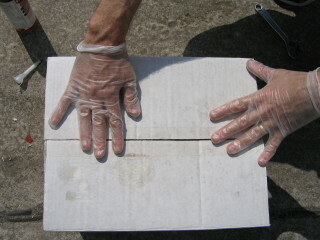 Fill the bag to approximately one quarter of the depth of the box. 3. 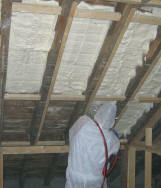 Fold the heavy-duty plastic bag over the top of the sprayed expanding foam. 4. 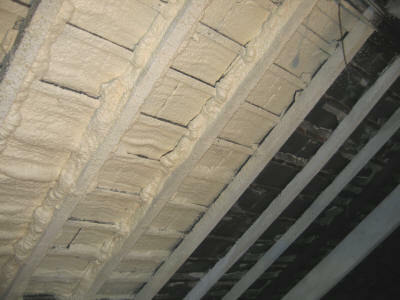 Position your item on top of the expanding foam. 5. 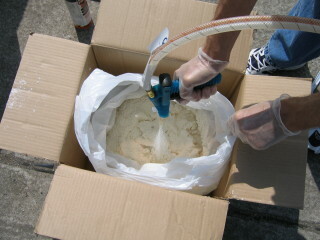 As you can see from Image 5, the foam expands and moulds itself round the item. 6. 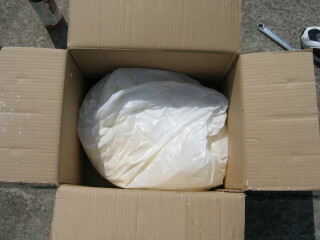 Place another heavy-duty plastic bag in the box on top of the item. 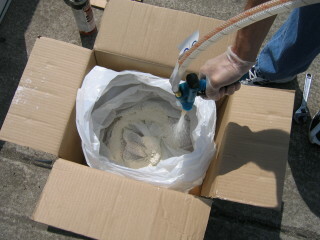 Spray approximately the same amount of foam into the bag as you did in Image 2. 7. Fold the bag over the top of the foam. 9. 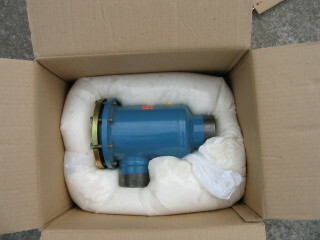 In Image 9, we have re-opened the box and removed the top half of the foam packaging. 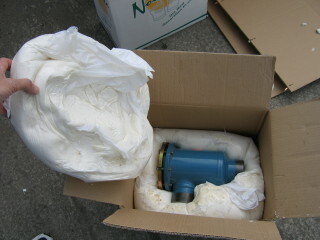 From the photo, you can see how the Handi-Foam has expanded and moulded to the item's shape. 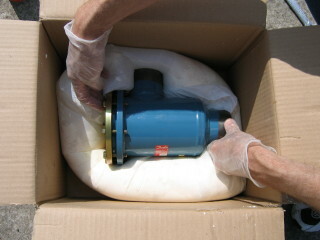 The slow-cure spray foam hardens within 5 minutes, making this a quick and easy manner of safely packaging any item. Absolutely none - the foam kits come complete with everything you require to begin foaming. Please visit the Handi-Foam products page for our range of Handi-Foam kits.